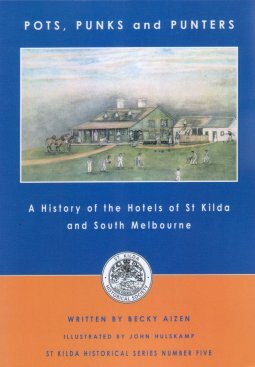 For one hundred and fifty years the pubs of St Kilda and South Melbourne have been host to sculling, political meetings, inns, morgues, bushrangers, stables, gangland feuds, film sets, gambling, weddings, sport and music venues as well as other events. This unique book records the fascinating social history of the one hundred and twenty eight pubs that have existed since settlement and includes an extraordinary range of historic photos. Take the book in hand and, with the help of the enclosed Melway maps, voyage out a fascinating pub-crawl of the largest and most used group of historic buildings in the City of Port Phillip.